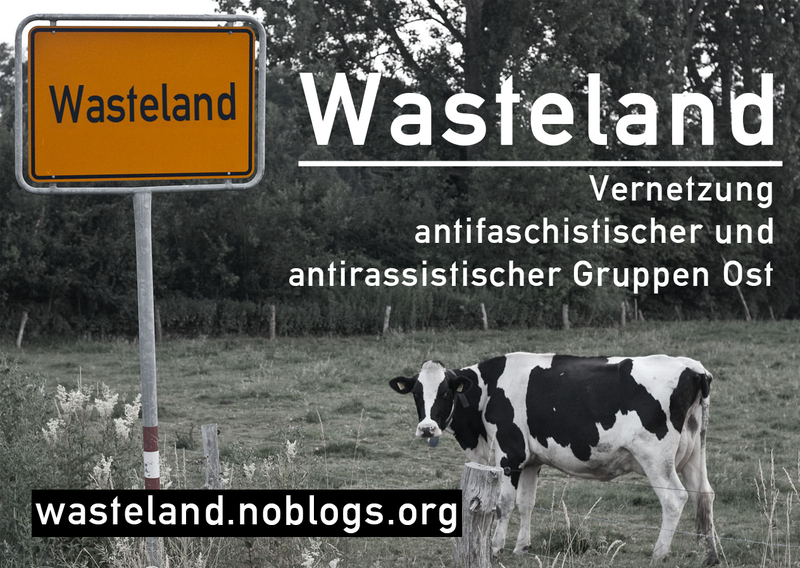 Angesichts dieser düsteren Aussichten wollen wir mit Euch auf dem antifaschistischen Jugendkongress Dinge kritisieren und verändern, praktisch und theoretisch aktiv werden und uns vernetzen. Was kann ich gegen neue und alte Nazis tun? Wie organisiere ich mich in einer Gruppe? Wie argumentiere ich gegen rassistische Statements? 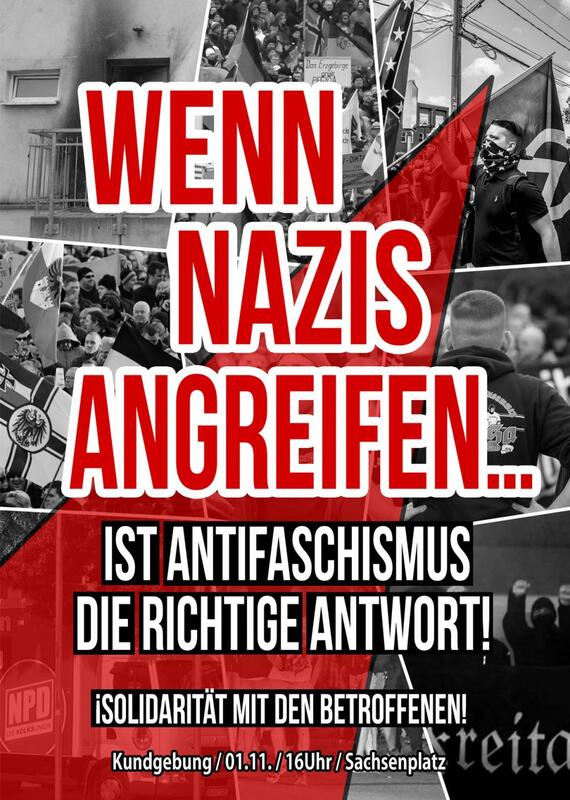 Kommt zum antifaschistischen Jugendkongress 2017 in Chemnitz und lasst uns die Zukunft in Angriff nehmen! The conditions in Germany (and everywhere else) are bad: Still a shift to the right, again and again encouraged Nazis, the party “Alternative for Germany” (AfD) is getting stronger and so on. In the view of those black prospects, on the antifascist youth congress, we want to criticize and change things, we want to become practically and theoretically active, and we want to connect with each other. What can I do against new and old Nazis? How to encrypt my data? How to organize in a group? How to argue against racist statements? 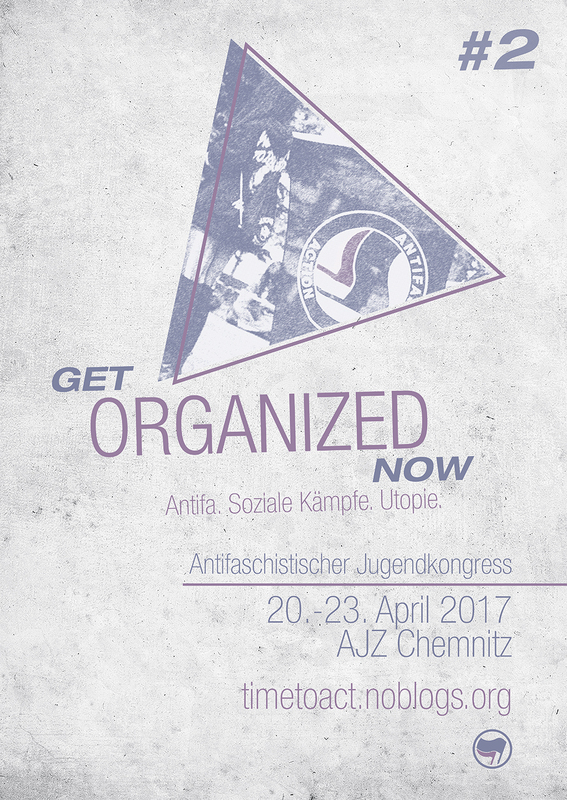 Come to the antifascist youth congress 2017 in Chemnitz and let‘s start to change the future! 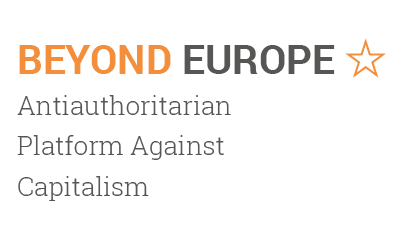 The youth congress takes place from 20th to 23rd April in AJZ Chemnitz. It‘s for free. Food, drink, entertainment, inputs, many workshops, music, places to sleep, relaxed and exciting stuff will be there. You can find the program and the registration form on our website. Registration closing date is on April 6th. We try hard to translate some workshops into French, English and Arabic. If you need translation, please do mention it in the application. Rassistische Kundgebung der NPD am Freitag stören! Next story Leben schützen! Abtreibung legalisieren! 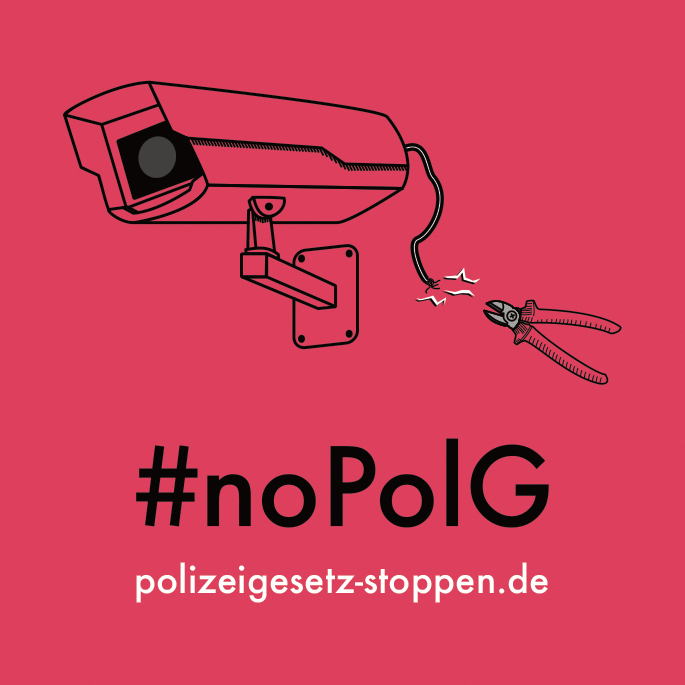 Weg mit §218! Previous story No Rollback! Hollaback! Fight Back! 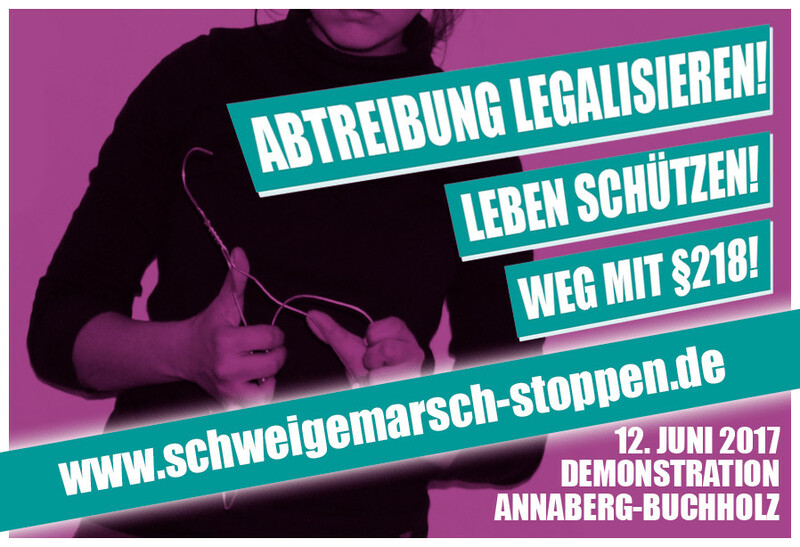 Gemeinsame Anreise zum feministischen Kampftag in Leipzig am 11.03.